Posted on Friday, January 12th, 2018 at 1:30pm . 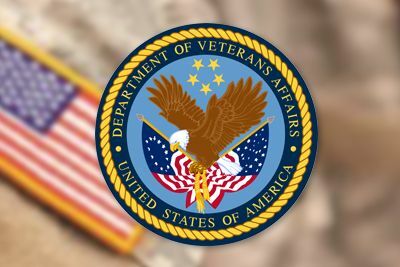 “To be eligible, you must have satisfactory credit, sufficient income to meet the expected monthly obligations, and a valid Certificate of Eligibility (COE),” according to the Department of Veterans Affairs. The length of your service or service commitment, duty status and character of service determine your eligibility for specific home loan benefits. “Every veteran and active service member who meets the VA's eligibility requirements has something called entitlement…the most common definition is that it’s a specific amount the VA pledges to repay to a lender if the borrower defaults on the loan. This is part of the VA Loan guaranty,” according to VAMortgageCenter. An appraisal is required when using a VA loan, but it is not the same thing as a home inspection. The VA appraisal provides a valuable service, but it doesn’t guarantee that the home is free of defects. Something to keep in mind once you get your VA loan, the Consumer Financial Protection Bureau and the VA are issuing their first Warning Order, to people with VA home loans. If you have a VA home loan, there is a chance you have already received unsolicited offers to refinance your mortgage that appear official and may sound too good to be true. Some lenders marketing VA mortgage refinancing may use aggressive and potentially misleading advertising and sales tactics. If you decide to refinance your VA loan, take the time to check here first to find out if the offer is legitimate or too good to be true. If you start thinking about refinancing, call your lender as well and take advantage of their expertise. The use of a VA loan is not just a one-time thing. People can re-qualify as first-time homebuyers over time, as long as that first VA loan has been paid in full so that homebuyers can use their VA loan option again and again. “In fact, the VA has not set a cap on the number of times the VA loan entitlement may be used,” according to VAHomeLoanCenters.org. But if you’re in a situation where you would need to use two VA loans at the same time, it could be a possibility. Qualifying for the second loan in conjunction with the first is contingent upon the service members remaining entitlement and their unique situation. Check VAHomeLoanCenters.org’s previous link for examples of specific restrictions of using your first and second loans at the same time.